Part two of the “Sunshine Double” in North America could not yet do justice to the name. For the first time, the Masters 1000 tournament in Miami will no longer be held in Key Biscane, but in the NFL Stadium of the Miami Dolphins. However, the weather has upset the people responsible so far and there were always rain-related interruptions. For the coming days, however, the weather forecast in Miami is much more positive. After a bye in the first round, the top players will take part in the tournament on the weekend. Indian Wells winner Dominic Thiem meets youngster Hubert Hurkacz! Both Dominic Thiem and Hubert Hurkacz will probably never forget the nearly ten days spent in the desert of California. Thiem taught his critics a better and also celebrated on Hartplatz a great victory and won the first Masters title in his career. Hubert Hurkacz was probably only a tennis expert before the tournament in Indian Wells. After wins against Denis Shapovalov and Kei Nishikori, however, he has played a bit at the center. Thiem is warned in any case, a self-run, the game is by no means. The favorite role, of course, lies with the Austrians. Thiem vs. Hurkacz wins a odds of 1.36. ↳ Current ranking in the world rankings: 4. 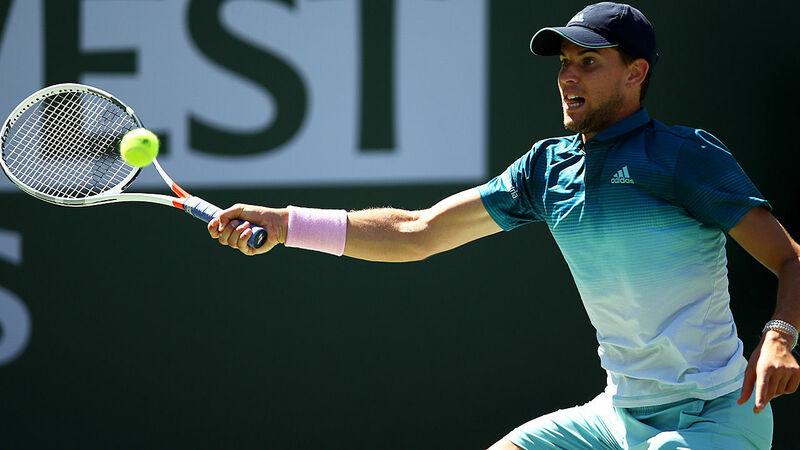 With a negative 3: 4 balance Dominic Thiem traveled to the first Masters tournament 2019 in Indian Wells. In view of these figures, the 25-year-old Austrian was by no means bursting with self-confidence. However, after the surprisingly early finish in Sao Paulo, Thiem had plenty of time to prepare for the upcoming hard court games. His coach Günter Bresnik was not present in North America, so the Chilean Nicolas Massu was hired as Touring Coach for the two Masters tournaments. A decision that paid off quickly. For Thiem, the days leading up to Indian Wells’ tournament were like “a second preparation”, when he regained confidence. The handwriting of Massu was in California good to see and Thiem acted much more variable. He delivered a high percentage on the first service (> 80%) against the strong hitters Karlovic and Raonic. Against Federer, however, he took more risk with his service and knew from the baseline pressure to build. The first Masters tournament victory was a beautiful feeling, but there was not much time left to party. On the morning of the next day we continued to Florida. The good form is now conserved. After the weak start of the season, Thiem catapulted again towards the top thanks to the tournament victory in the Race to London. He also overtook Fedex in the world rankings and is now number four in the world again. Thiem is hungry for success and sometimes wishes it too often and cramped. Massu has managed that Thiem despite positive setbacks maintains a positive attitude. Playfully, Thiem will also have a clear advantage over the shooting star. An early exit would be a sensation after the performance in the past week, between Thiem and Hurkacz is the tip of the favorites win obvious. ↳ Current ranking in the world rankings: 54. Hubert who? The 22-year-old Pole has spent the last few years mostly with Challenger tournaments. However, 2018 was a very successful year for the tall Poland. After all, he was able to qualify for the Next Gen Finals in Milan. With 52 wins and 30 defeats, the conclusion for Hurkacz was quite positive. The Pole is a player who prefers the hard court. Given its style of play, this is not surprising, because the almost two-meter-tall Hurkacz (196 cm) has a strong impact due to its height. On hard court this comes even more effective. After the successful Challenger year, the Pole felt ready to take the step on the ATP tour regularly. At the Australian Open, he delivered with Ivo Karlovic a serve battle in the first round. After four tiebreaks, the youngster had to surrender himself. When service Hurkacz will be difficult to break, as a backcounter, however, he should in principle against a Dominic Thiem can not exude much danger. The 22-year-old will certainly not lack self-confidence either. In Indian Wells he celebrated for the first time on the ATP Tour four wins in a row. Donald Young, Lucas Pouille, Kei Nishikori and Denis Shapovalov are quite sonorous names and the quarter-finals were not to be expected. However, against Hurkacz Roger Federer remained pale and had to give up smoothly (4: 6, 4: 6 – no break for the Pole). The same can be expected on Friday in the second round. A set win by Hurkacz against Thiem would attract odds of just under 2.00. In the first round of Miami, Hurkacz struggled against Matteo Berrettini despite a 2-0 set victory. For a long time he found no access to the opposing service. The performance was significantly weaker than in Indian Wells. The newly crowned Indian Wells winner Dominic Thiem and shooting star Hubert Hurkacz face each other for the first time in Miami! The top players in Miami will be offered pure luxury at the second Masters tournament of the year. The top eight women and men have been able to purchase a luxury suite on the property. After winning in Indian Wells Dominic Thiem wants to take this residence longer. After the bye in the first round, the Polish shooting star Hubert Hurkacz is faced with an unpleasant task. Nevertheless, there is no question that between Dominic Thiem and Hubert Hurkacz according to the odds of Austrians is clear favorite. ↳ Confidence – in Indian Wells Thiem celebrated his first Masters title! ↳ For the first time the two actors are facing each other! 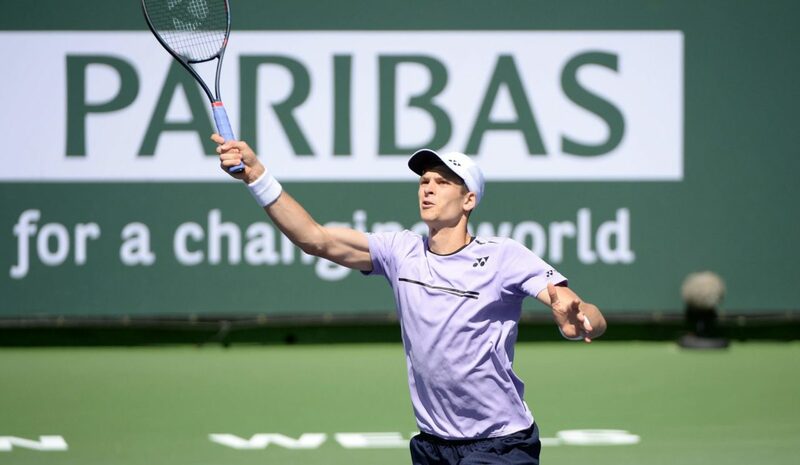 ↳ Thanks to the quarter-finals in Indian Wells Hurkacz catapulted to 54th place in the world! Against the impact monsters Ivo Karlovic and Milos Raonic Thiem presented strong as a bear. Hurkacz does not have the quality of this duo, but it is also dangerous because of the impact. Once the ball is in play, Thiem will have significant advantages. On hard court, a strong server can well save himself in the tiebreak and win the set with a good point, but the value in this game is still in Thiem’s ​​2-0 sentence success. The Austrian is in great shape and has the return game to be dangerous to Hurkacz. Odds of 2.01 are a bit too high. Accordingly, with Dominic Thiem vs Hubert Hurkacz our tip goes to the 2-0 victory, to which a use of six units is recommended.